If you want to create shapes from scratch but just aren’t sure where to begin this would be a good class for you. 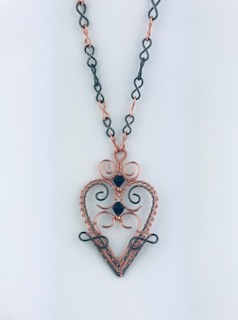 You will learn how to form the wires using wire wrapping tools so the wires sit well together and have easier access to weave them. Get creative with your wire combinations.